Visiting Hamilton and looking for a place to swim? Nice choice! Don't forget to tell us how did it go. 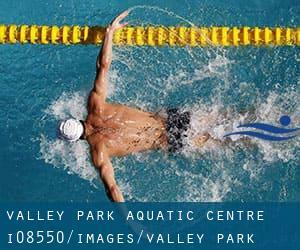 Introducing now Valley Park Aquatic Centre swimming pool, an amazing swimming pool sent by a swimmer like you few days ago. Have you visit this pool? Do you perform here? Please, contact us when you have facts which you think is gonna be useful and remember from now on you could now promote every pool just by sharing this page together with your friends or adding comments in the Facebook boxes below. Come on and help this pool to be the first in Hamilton! Among all of the activities offered by the centre, for anyone who is considering swimming you will get pleasure from 25 meters, 6 lanes, Indoors. Just in case you need to contact this Pool before dropping by, we only know the phone number. If you believe that any of the knowledge is incorrect, please make contact with us. Help us be better day-by-day. Updated on 2019 1099 King Street East , Hamilton , ON , CANADA (Postal Code: L8M 1E2). Among all the activities offered by the centre, if you are thinking about swimming you will enjoy 25 yards x 15 meters, 7 lanes, Indoors. Just in case you desire to make contact with this Swimming Pool before dropping by, we only know the phone number. Updated on 2019 1150 Main St. West , Hamilton , ON , CANADA (Postal Code: L8S 1C2). This sports centre provides 25 meters, 5 lanes, Indoors. For this Swimming Pool, only phone number is number here. Updated on 2019 192 Wentworth Street North , Hamilton , ON , CANADA (Postal Code: L8L 5V2). This sports centre delivers 25 meters, 6 lanes, Indoors. For this Swimming Pool, only phone number is number here. Updated on 2019 39 Market St. S. , Dundas , ON , CANADA (Postal Code: L8P 4Y5). Among all the activities supplied by the centre, if you are keen on swimming you will delight in 25 meters x 13 meters, 6 lanes, Salt Water, Non-Chlorine Sanitized, Indoors. Just in case you want to make contact with this Swimming Pool just before dropping by, we only know the phone number. Updated on 2019 58 Brentwood Drive , Hamilton , ON , CANADA (Postal Code: L8T 3W4). This sports centre offers 25 meters x 12 meters, 4 lanes, Indoors. For this Swimming Pool, only phone number is number here. Updated on 2019 251 Duke St. at Queen St. N. , Hamilton , ON , CANADA (Postal Code: L8P 1Y4). This sports centre provides 25 meters, 5 lanes, Indoors. For this Pool, only phone number is number here. 207 Parkside Drive , Waterdown , ON , CANADA (Postal Code: L0R 2H1 ). This sports centre gives 25 meters, Indoors. For this Pool, only phone number is number here. Updated on 2019 93 West Avenue South , Hamilton , ON , CANADA (Postal Code: L8N 1S1). This sports centre offers 25 meters, 5 lanes, Indoors. For this Pool, only phone number is number here. Updated on 2019 465 East 16th Street , Hamilton , ON , CANADA (Postal Code: L9A 4K6). Swimmers like you reported 25 meters, 6 lanes, Indoors. Unfortunately we do not have the email address of this Swimming Pool, but we can provide you with the phone number. Updated on 2019 450 Hughson St. N. , Hamilton , ON , CANADA (Postal Code: L8L 4N5). Among all the activities supplied by the centre, for anybody who is interested in swimming you are going to appreciate 25 meters, 5 lanes, Indoors. Just in case you want to get in touch with this Swimming Pool just before dropping by, we only know the phone number. Updated on 2019 1715 Main St. East , Hamilton , ON , CANADA (Postal Code: L8H 1E3). This sports centre gives 25 meters, Indoors. For this Swimming Pool, only phone number is number here. Updated on 2019 200 Dewitt Road , Stoney Creek , Hamilton , ON , CANADA (Postal Code: L8E 4M5). Among all of the activities offered by the centre, for anybody who is interested in swimming you can expect to take pleasure in 25 meters, 5 lanes, Indoors. Just in case you want to contact this Pool before dropping by, we only know the phone number. Updated on 2019 60 Albright Road , Hamilton , ON , CANADA (Postal Code: L8K 6H5). This sports centre offers 25 meters, 6 lanes, Indoors. For this Swimming Pool, only phone number is number here. 79 James Street South , Hamilton , ON , CANADA (Postal Code: L8P 2Z1). Among all the activities provided by the centre, if you are interested in swimming you can expect to enjoy 25 yards, 4 lanes, Indoors. If you might want to contact this Swimming Pool, e-mail address and phone number are both number. Updated on 2019 145 Magnolia Drive , Hamilton , ON , CANADA (Postal Code: L9C 5P4). Among all of the activities offered by the centre, for anyone who is considering swimming you will get pleasure from 25 meters, 6 lanes, Indoors. Just in case you need to contact this Pool before dropping by, we only know the phone number.